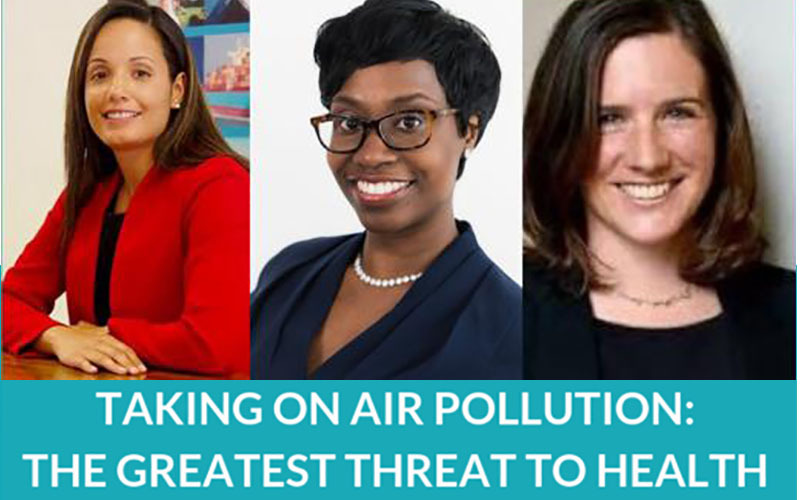 NYLPI senior attorney for environmental justice Christine Appah will lead a webinar discussion tomorrow, April 9, at 12 pm EST, on tackling air pollution. Sign up for your spot here. From giant chimneys created by jet engines to simplistic superblocks and car bans, there is a steadily growing number of policies and approaches addressing what the Energy Policy Institute found is the single greatest threat to human health – poor air quality. The Institute recently reported that air pollution reduces global life expectancy by nearly 2 years, surpassing the devastating impact of smoking, tuberculosis, or even war, while a report from The Lancet Commission found that pollution is responsible for an estimated 9 million premature deaths. And this threat is not distributed equally: children and marginalised communities are disproportionately affected. New research has linked air pollution to a wide range of problems in children starting before birth, including reduced birthweight, cognitive impairment, child obesity and lifelong damage to respiratory and cardiovascular systems. In the United Kingdom, Black British citizens are 28% more likely to be exposed to air pollution than their white counterparts. You are warmly invited to an online conversation about the latest evidence on the impacts of air pollution – particularly on vulnerable populations. This discussion will feature Jane Burston, Bakeyah Nelson and Christine Appah. Jane is Director of the Clean Air Fund and a member of the Global Future Council on Energy at the World Economic Forum. She was previously Head of Energy and the Environment at the National Physical Laboratory. Christine is a Senior Staff Attorney at New York Lawyers for the Public Interest. Previously, she served as a regional director at the New York State Division of Human Rights. Her work focuses on urban environmental health issues and sustainability. Bakeyah is the Executive Director of Air Alliance Houston. For the past several years, she has been working to improve public health in the Houston region.